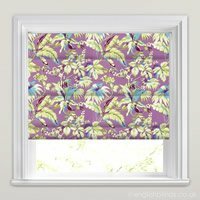 If you prefer shades more towards the lilac end of the spectrum, then our beautiful made to measure lilac roman blinds with their elegant soft folds and fabulous designs are perfect. 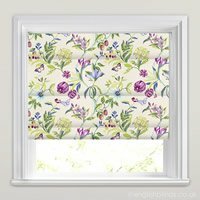 Full of rich hues and with a choice of floral prints, classical patters and detailed embroidery, our luxurious bespoke romans are guaranteed to add the wow factor to the windows of any home. Site very easy to use with lots of helpful tips regarding measuring. Blinds absolutely perfect. Colour excellent match and made to measure exactly. Very easy to put up as well. Well done English Blinds, can't fault you. Blind is great, much better than the cheap looking ready-made ones you get at the supermarkets, very good quality. Simple, good quality, cheap prices and with a fast delivery. The provision of sample fabric was also a blessing. 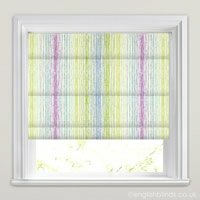 Very simple ordering system, blind was delivered within the time quoted, was also easy to fit, very pleased with the quality of the blind, so yes I would recommend English Blinds to others. I am delighted with my bathroom blind from English Blinds. It was very useful to be able to request samples of the fabric and these were despatched to me promptly. 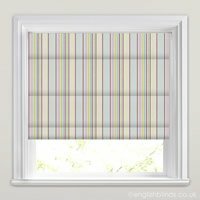 The order for the blind was delivered within the specified timescales and the quality of the blind is superb, a perfect fit.